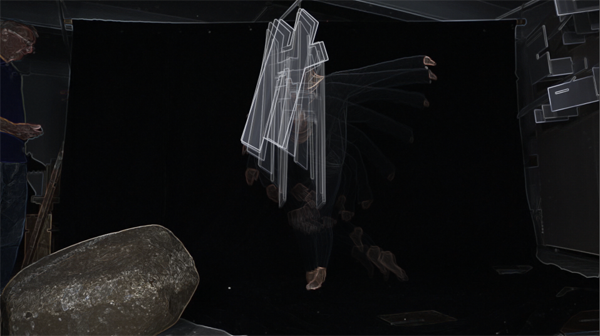 A still from "Perceptual Motion"
In January 2014 "Perceptual Motion", an interactive motion participation and photography exhibit by internationally renowned photographer and filmmaker Klaus Lucka opened at the David Rubenstein Atrium, Lincoln Center, New York. 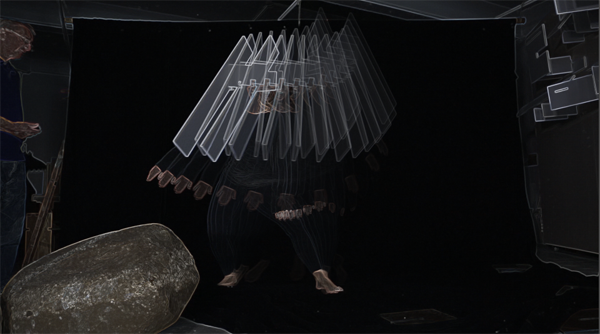 One of the pieces in the show is Klaus's exciting transliteration of a video featuring the masks made for Trophies. The choreographer/performer is Mercedes Searer.